Once you celebrate your twins’ first birthday, you can breathe a sigh of relief. You made it. You did it. You survived the first year with twins. 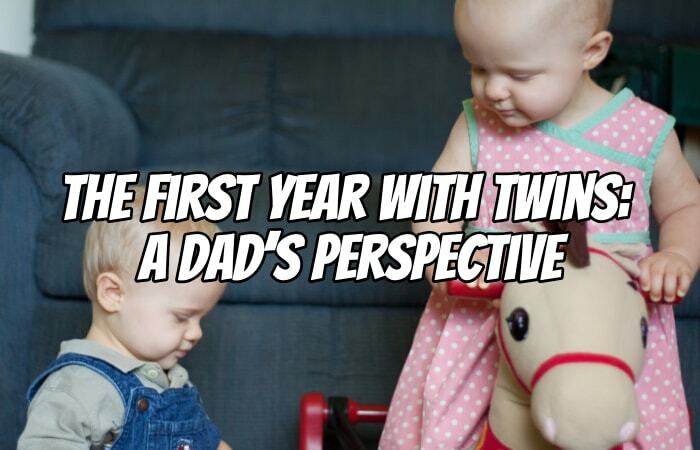 Looking back at my twin daughters’ first year, I’m amazed at how quickly the time went. 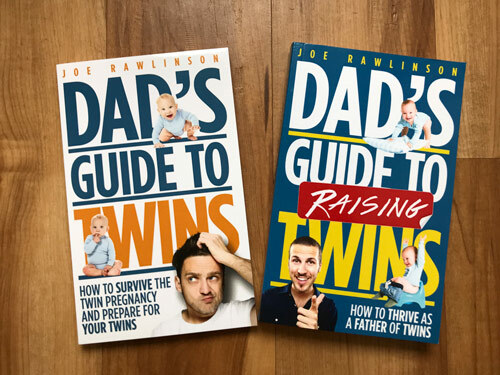 The first year with twins is an evolution, not just for the twins, but for you as a dad. When we found out we were having twins, I was in shock. Even after the girls were born, I’d find myself in disbelief that we had two little babies. Now, it is no longer an anomaly, but rather part of life and I can’t imagine life without my girls. Since we had identical girls, I started out paranoid that I couldn’t always tell them apart. As the months went on, I was disappointed with myself as a dad when I couldn’t immediately identify which baby girl that was across the room. However, even from the beginning, each girl had a distinct personality. This continued to blossom and develop to the point where they physically look different to me now because of their personality, actions, and mannerisms. The logistics of handling two babies at the same time was one of the hardest things I’ve ever done. Sleep deprivation, rapid-fire diaper changes, feedings, burpings, naps, etc. all took a physical and mental toll on my wife and me. But guess what? Your twins don’t stay babies forever. By the first year mark, the feeling of being overwhelmed has been replaced by more independent little babies, healthy habits, schedules, and the beginnings of communication. Now you’re in a sweet spot of just making sure your twins get their food, sleep, and diapers changed. You figured out how to do all those things long ago, and now they are routine. You can enjoy interacting with your twins and not have to worry as much about how to take care of them. I’m sure I made mistakes, but if I check those against my primary goals–keep my girls (wife included) alive, healthy, and happy–I think I did fine. I know my girls approved because they’d happily squawk “dada” while scooting over the floor to me when I got home from work. When I look back at my girls’ first year, I have just one big regret. I didn’t get more pictures of the two of them and me together. I was usually the photographer and thus rarely found myself in front of the camera. 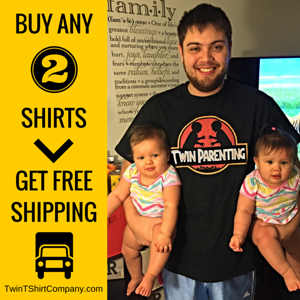 Set aside a day of the week to take a few minutes of video of your twins. If you take a little video every week, you’ll have a fabulous timeline of your twins’ growth and development that you can showcase at their first birthday or save to embarrass them when they get married. You can keep this video for yourself or share it via your social media of choice like Instagram or Facebook. In battle, soldiers are often dazed or inhibited by the “fog of war”. This fog comes from smoke, explosions, shell-shock, lack of information, etc. 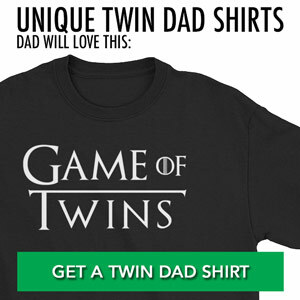 As a parent of twins, you have your own fog of war. This fog is thickest during your twins’ first year. What do I mean by foggy? Remember the last time you drove when there was a heavy fog. It was hard to see far ahead or behind your car. You had to drive slowly and were constantly on guard so you didn’t run into anything. You’ll be suffering from sleep deprivation. There will be no time to relax. You’ll constantly be taking care of one baby or the other. Every day will seem like the last. You won’t be eating as good as you should since you’re so busy with the babies. If you have other kids, they will be extra demanding of your attention because you, out of necessity, are giving more to the twins. 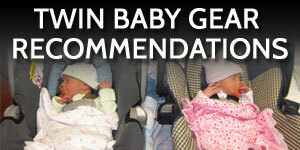 If your twins were in the NICU, you’ll have logged countless hours at the hospital. This foggy haze will cloud your judgment and make days quite challenging. Enjoy the happy moments – yes, there will be funny, memorable, and happy moments during the first year. Enjoy them! Don’t worry, it won’t be foggy forever. Just like the sun burns away the morning fog, so shall time and constantly growing twins clear the fog for you. Keep your chin up and hang in there! No matter the regrets or successes of your twins’ first year, now is the time to set yourself up for success. 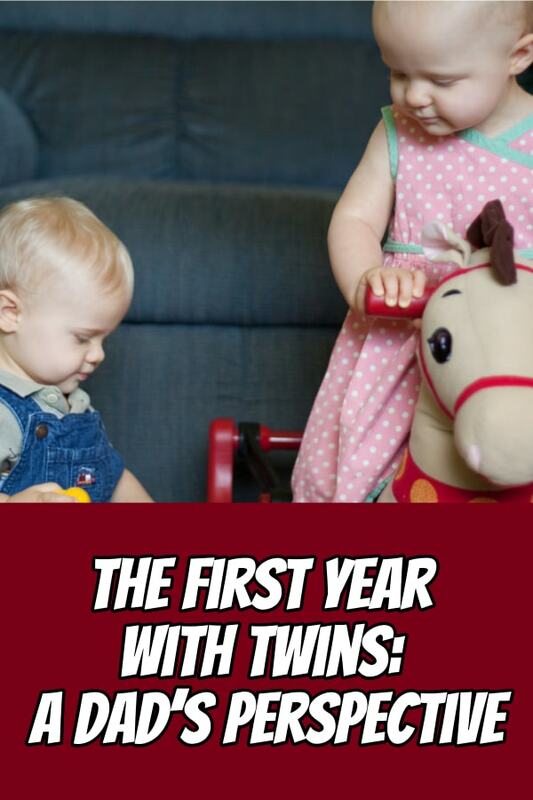 Going into the twins’ second year, you can correct what you feel is amiss and add in the new traditions and routines you feel are important. If you weren’t around as much as you wanted in your babies’ first year, make a change now. They won’t remember that first year. You will. As your twins get older, they will remember more that will stick with them for a lifetime. Will they remember you being there? Let’s hope so. 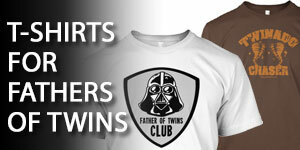 Want more insight into the first years of twins? 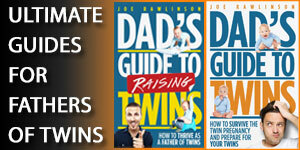 Check out my book, the Dad’s Guide to Raising Twins: How to Thrive as a Father of Twins. Great post! It is great to know it from a man’s point of view! This is perfect too because our babies just turned one last month! Many blessings to you and your family!! I started to see a notable change around the 6-8 month mark. They started sleeping better were more independent and mobile. Were as before this point it seemed like a daily drudge (feed, change, play, sleep), now it became “easier” (though that may not be the right word for it). I second Joe’s recommendation to get more photos with your twins, particularly if you’re the person always taking the pictures. I’m still regretting not asking others to take pictures of them with me. @Mike – it’s true: once they start sleeping better, it makes it all go so much more smoothly!